Synopsis (from the publisher): Forty-eight hours after Alexandra Cooper arrives in France to visit her boyfriend and famed restaurateur, Luc Rouget, her vacation in paradise is cut short when a young woman from the village is found murdered. The only evidence discovered on the body is one of Luc's matchboxes promoting his new restaurant in New York. But before the investigation begins, Alex is summoned back to New York to handle a high profile case. Mohammed Gil-Darsin, the distinguished and wealthy Head of the World Economic Bureau, has been arrested and accused of attacking a maid in his hotel. 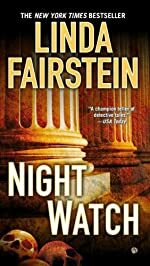 As the world watches in fascination to see how the scandal will unfold, Alex finds her attention torn between preparing the alleged victim to testify and a murder case with ties too close to home. A second body is found with Luc's matchbox—this time in Brooklyn—and Alex begins to fear that the two cases may not be as unrelated as she thought, and that uncovering the sordid secrets of the city's most wealthy and powerful could cost her and her loved ones everything they hold dear.